Commercial driving is no easy thing; as if the long distances and time away from home were not enough, bad weather doesn’t wait for you to make your delivery. That means it is on drivers to keep themselves safe on the road, regardless of weather conditions. However, if you don’t know what to expect, it can be hard to keep yourself safe. 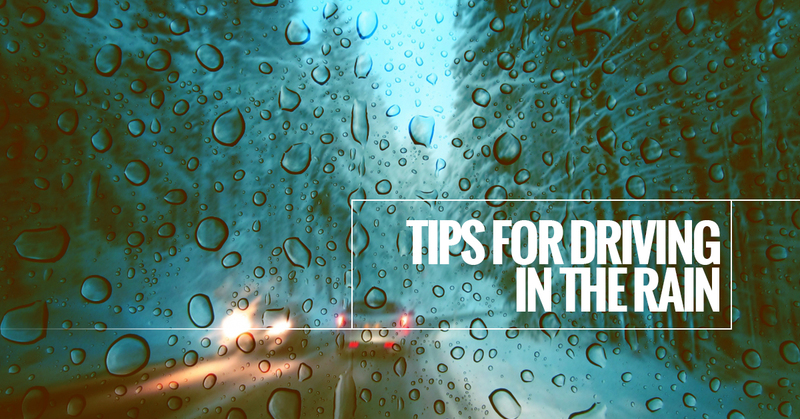 Since we offer fuel delivery to many companies across Texas, we thought we’d list some tips for driving in the rain for their drivers. The first reaction in any type of inclement weather should be to slow down. This is for a couple of reasons. First, your visibility is going to be greatly decreased in the rain. Slowing down gives you more time to react between when you see an obstacle and when you can turn or stop. Second, even if you aren’t hampered by decreased visibility, the wet conditions on the road means it will take you longer to make a stop anyways. A car that can stop at 50 mph within 10-15 yards in dry weather may only be able to stop within 12-17 yards in the rain. In many states in the United States, it is actually against the law to drive without your lights on when you are using your windshield wipers. Veteran commercial drivers know the importance of keeping your lights on in the rain; it is not necessarily to help you see better (although it can), but to alert other cars on the road of your location in order to avoid collisions. Most people probably go decades without ever changing out their wiper blades. However, in places with frequent changes from hot to cold temperatures, and vice versa, wiper blades can get used up within a year. To avoid that level of wear and tear, make sure to replace the rubber strip under the blade, called a “wiper refill”, once a year around the time the seasons change. Driving in intense rain is a bit of an art form, and isn’t for the impulsive. It requires patience. During the dry days, many oils and lubricants from vehicles on the road will seep into the road. When the rain falls, it actually brings these oils up to the surface, making it even harder for your brakes to gain traction to stop your vehicle. The bigger a gap you leave between the car in front of you, the less likely lowered visibility or decreased traction will result in a wreck. Additionally, on well driven roads where larger trucks have made indentations, drive with your wheel closer to the curb to avoid sunken spots where water can pool. Your tires are where the rubber meets the road, so to speak, and control where your car goes. Anyone who has ever driven in standing water knows that that it causes your car to lose control. That’s because your tires can’t gain traction while floating, which causes your car to hydroplane. The trick to making it through a hydroplane is to keep calm, let off the gas, ease off the brakes, and steer towards dry ground. If you are driving commercially, chances are your company has invested in quality tires made to handle inclement weather. However, it is still up to the driver to ensure they are properly inflated, which can affect their ability to brake. Make sure to follow the inflation instructions found on the inside pillar of your driver’s side door. It doesn’t matter how big the truck that you are driving is, the number one cardinal rule of driving in inclement weather is never cross standing water. Always get out, and wade through yourself to ensure that you have enough clearance. Additionally, never drive through moving water (a couple of inches can wash away an entire vehicle). Hopefully these tips help you keep safe on the road. 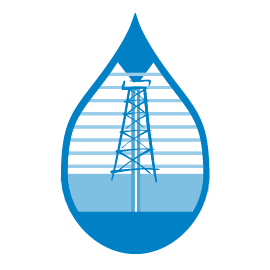 If you are looking for fuel delivery, DEF & chemicals, or bulk lubricant in Texas, then you’re in the right place. Give Reeder Distributors a call for more information. One of our friendly and knowledgeable representatives will be happy to provide any answers you may need.